The financial picture; what can I afford? We advise all potential buyers that are considering financing their purchase get "pre-qualified", this places the buyer in the drivers seat. I have found the prefect property... now what? - How much should I pay? What is the property worth? What can I buy it for? We can address many questions like... What does the historical picture look like? What's the forecast for the area? What are the schools rated? What is the crime rate? 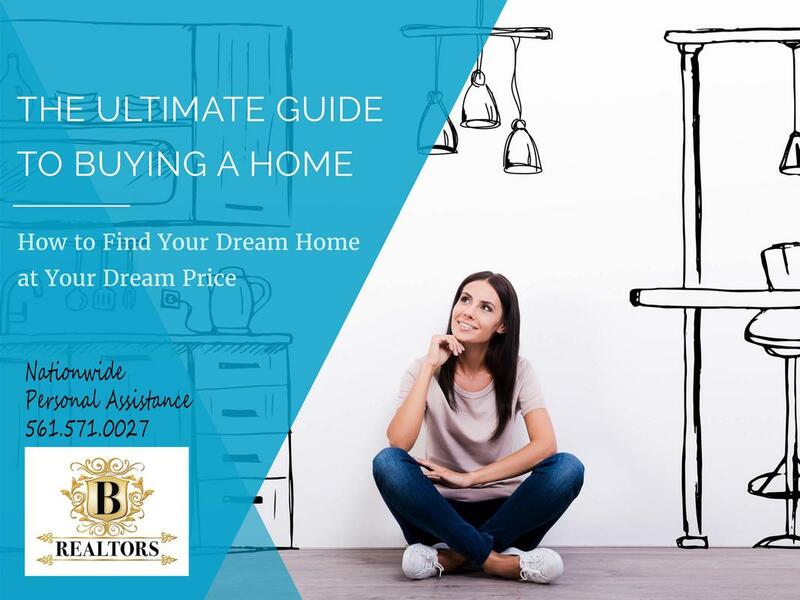 "B Realtors" Ultimate Buyer's Guide. Complete and Submit & Download!